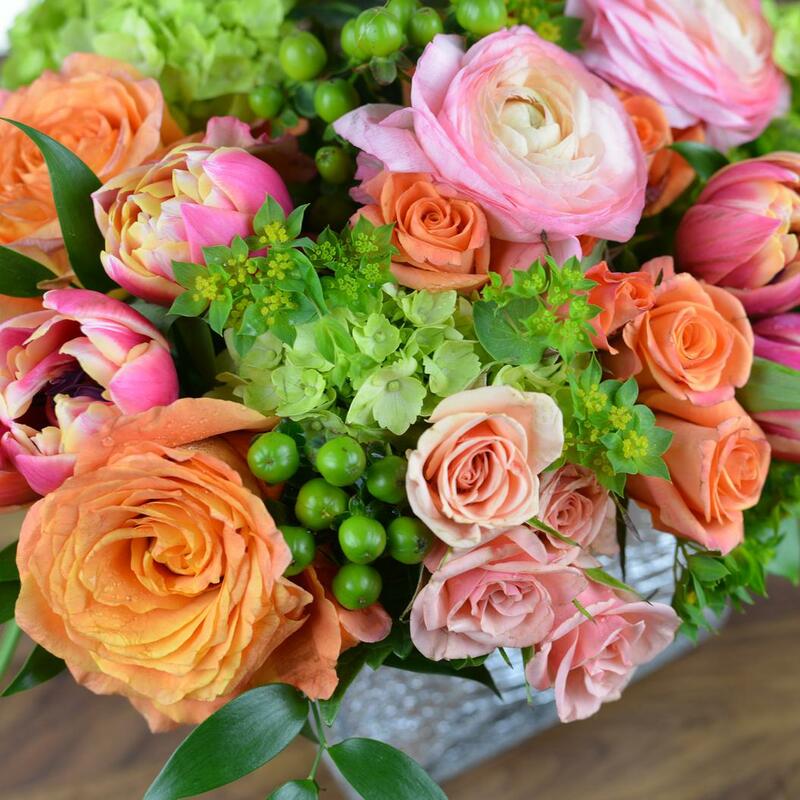 This bright-multicolored blend of seasonal, vibrant roses, ranunculus, tulips and hydrangeas accented with greens, will surely put a smile on anyone's face. 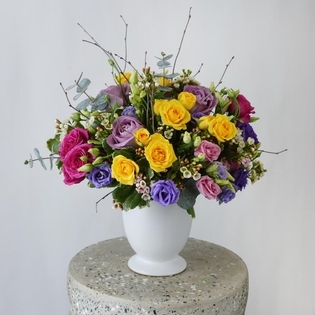 This arrangement is unique and offers a little sparkle with it's crackled mirror vase. 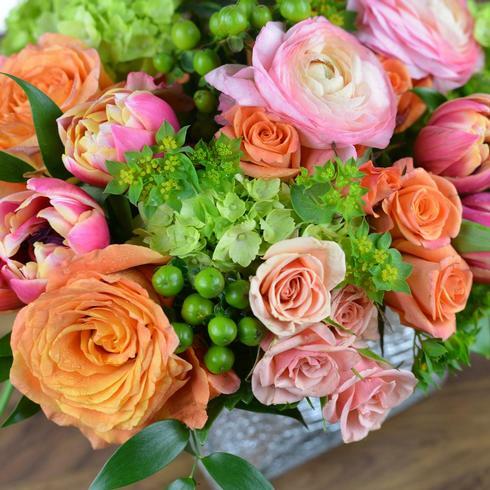 All of our vase arrangements are gift wrapped with tissue, cellophane and the utmost care for delivery.